Pentax DSLR cameras are solid performers. You occasionally may find yourself confronted with a Pentax DSLR camera error message, such as when you have a Pentax memory card error. You should use the error message to your benefit by having it help you figure out what's wrong with the camera. It's also possible that when you see an error message with your new Pentax DSLR that it's related to something else. For example, say the error message relates to your Pentax memory card. You may need to troubleshoot the memory card instead of the camera. Once you've determined that the problem lies with the camera, you can use the seven tips listed here to troubleshoot your Pentax DSLR camera error messages. You'll probably need to update the firmware for your Pentax camera if you see the A90 error message. Check the Pentax Web site to see whether any firmware updates are available, and follow the directions listed on the site to install the firmware. If no update is available, you'll probably need to take the camera to a repair center. This error message is rare, but, if your Pentax DSLR camera's internal temperature exceeds a predetermined number, the camera will automatically display this error message and turn off the LCD screen to prevent potential damage. Press the okay button to remove the error message. The only "cure" for this error message is to allow the camera's internal temperature to cool by not using the camera. Card Not Formatted/Card Locked error message. These error messages indicate problems with the memory card, rather than the camera. The "card not formatted" error message tells you that the memory card you've inserted into your Pentax camera has not yet been formatted, or it was formatted by another camera that isn't compatible with your Pentax camera. You can fix this Pentax camera error message by allowing the Pentax camera to format the memory card. Keep in mind that formatting the card will erase any photos stored on the memory card. With the "card locked" error message, check the sliding write-protect lock along the left-hand side of the SD memory card. Slide the switch to the unlocked position. 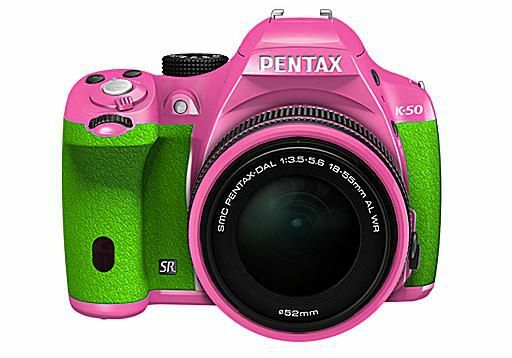 The "dust alert" error message with your Pentax DSLR camera indicates that the camera's feature that alerts you to excessive dust building near the image sensor is not working properly. This error message does not indicate that the camera necessarily has dust affecting the image sensor. Try placing the camera in an automatic (or "A") setting and place the focus mode for the lens in auto-focus (or "AF") to reset the dust-alert feature. This error message indicates a problem with the aperture ring on the lens. Move the ring to the automatic (or "A") setting to fix the problem. In addition, you can open the Pentax camera's menu structure and find the "using aperture ring" setting. Change this setting to "permitted." Otherwise, try resetting the camera by removing the battery and memory card for 10 to 15 minutes before replacing everything and turning on the camera again. Image Cannot Be Displayed error message. With this error message, chances are that the image you're trying to view on your Pentax DSLR camera was shot with another camera, and the photo file is not compatible with your Pentax camera. This error message sometimes occurs with video, too. Occasionally, this error message indicates a photo file that has been corrupted. Try downloading the image to your computer to see whether it is viewable on your computer screen. If the computer cannot read the file either, it probably is corrupted and lost. Not Enough Battery Power error message. With your Pentax DSLR camera, a certain level of battery power is required for performing certain camera functions, such as image sensor cleaning and pixel mapping activation. This error message indicates that you don't have enough battery power to perform the function you've selected, although the camera still may have sufficient battery power to shoot several more photos. You'll have to wait to perform the function you've selected until you can recharge the battery. Finally, keep in mind that different models of Pentax DSLR cameras may provide a different set of error messages. Most of the time, your Pentax DSLR camera user guide should have a list of other common error messages that are specific to your model of camera.